LADDERFIX offers a complete onsite ladder Inspection and compliance solutions. Anyone can deem a ladder unsafe but that’s where we are different, we not only inspect, pass or fail ladders we also offer an option for their repair or replacement. 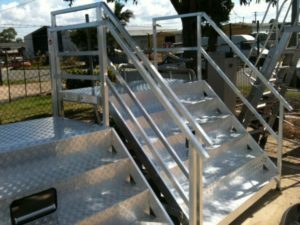 Repairs can be a fraction of the price of a new ladder and the technician will offer a suitable repair option at a fixed price on the day. 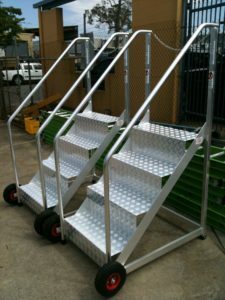 We can also transport up to 6 ladders from you premises at NO COST and return freight is offered at very competitive prices. All repaired ladders are tagged with a Compliance Decal to meet Aust Std 1892. 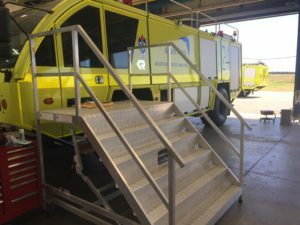 Note Regular safety inspections of ladders are mandatory, we recommend at least once yearly with inspections prior to use by the operator..
* travel charge may apply depending on your locality. Please feel free to call for an obligation free quote and further information. LADDERFIX carries an extensive range of Bailey and LADaMAX spare parts, please visit our eBay store to view available parts.